If you suffer from hyperhidrosis disorder or an excessive sweating problem, your doctor may have suggested iontophoresis treatment. Below you will find everything you need to know about the treatment and how it can help you control your sweat production. It is a safe medical procedure used to treat excessive sweating and sports injuries. A medical device delivers mild electrical currents to parts of your body submerged in water to temporarily block the sweat glands. Affected parts of your body most likely include hands, feet, or armpits. Iontophoresis is most often performed at a doctor’s office; however, you can purchase an iontophoresis machine and complete the treatments at home. Most sessions last between 10 and 20 minutes. You will place the affected part of you body in a basin of water, turn on the machine, and increase the current until you feel a light tingling sensation. You should not feel any pain. How effective is iontophoresis therapy? For treating hyperhidrosis, patients will need to undergo two to three treatment sessions per week until sweating decreases to a manageable level. Six to ten treatments are necessary to shut down the sweat glands. Once you’re sweating at a more desirable level, treatments need to be done only once per week, but they must be done consistently to maintain results. Treatment should be completely painless; however, some patients do experience mild side effects. The most common side effect is dry skin that may blister or peel. Luckily, applying moisturizer after each session can help manage these side effects. Are there any circumstances in which I should not use an iontophoresis machine? Do not undergo iontophoresis if you are pregnant, have a pacemaker, a cardiac condition, epilepsy, or a metal implant such as a joint replacement. If the treatment doesn’t seem to be working, talk to your doctor. You may also add baking soda to the water, which may increase results. Iontophoresis was introduced over 50 years ago to treat excessive sweating, and the technology is continually improving. Many patients who suffer from hyperhidrosis report that the condition negatively affects their emotional well-being. If you feel that you are being held back by your condition, talk to your doctor about treatment. If you’re one of the estimated eight million Americans who struggle to stop excessive body sweating, then you don’t just sweat a little too much here and there. You sweat four to five times more than everyone else. Yet, the vast majority of those eight million Americans doesn’t even realize that they’re struggling with a medical condition called hyperhidrosis. As awareness of hyperhidrosis spreads across the nation, new hyperhidrosis treatments are spreading as well. However, if we told you that you could stop excessive body sweating by dipping your hands in a tub of water and running a mild electrical current through the water, you might be skeptical. Perhaps it sounds like something an infomercial flim-flam man would try to sell you for three easy payments of $9.99 singulair 10mg. Well, it’s not flim-flam. It’s called iontophoresis treatment, a hyperhidrosis treatment popular among European physicians that’s finally entered the U.S. market. And if you want to stop excessive body sweating, then iontophoresis machines may just be the answer you’ve been waiting for. These medical devices have long been the go-to option for treating hyperhidrosis in Europe, and they were first developed more than 50 years ago. The average person has two to four million sweat glands inside their body. An iontophoresis device uses a mild electrical current (key word: mild) to help reduce the overactivity within these sweat glands, which is why some users have dubbed them the “no sweat machines.” A user simply places their feet or hands inside a tub of water, and the iontophoresis machine delivers a carefully controlled current of electricity through the water. You can ask this dermatologist in santa monica, or one in your local area, for more information. It’s a safe, painless, and effective medical treatment to finally stop excessive body sweating, and a single treatment lasts just 10 to 20 minutes. Over the last decade, these medical devices have started to make major inroads into the United States. Because hyperhidrosis is a medical condition, you’ll need a prescription from your doctor to order one of these devices, and they can safely be used in the comfort of your own home. So if you’re one of the eight million Americans embarrassed by their overactive sweat glands, then it’s time to put down the antiperspirant and try a medical approach to this condition. You wouldn’t treat many other medical conditions with cosmetics like deodorant, so it’s time to finally talk to your doctor or dermatologist about ordering an iontophoresis machine. Don’t take our word for it. If it still sounds too good to be true, then just ask your doctor for more information. Those of us who sweat profusely for apparently no reason or perspire more often than others often find themselves in the uncomfortable position of not knowing how to seek a remedy. After all, all of us sweat, and all of us sweat a lot if we’re really hot or uncomfortable. This can make it difficult to gauge whether or not something is truly a medical issue or if someone simply sweats more than others do for completely innocuous reasons. The fortunate thing in situations like these is that there are a lot of options going forward. In severe cases, as with anything else, individuals are encouraged to contact a physician. In doing so, one might be diagnosed with a disorder called hyperhidrosis. In effect, this disorder is the most likely culprit behind episodes of chronic sweating. It has been shown that some individuals with hyperhidrosis sweat up to four or five times as much as the average individual. That isn’t to say that the disorder is rare, though — between 1-3% of Americans are either diagnosed with hyperhidrosis or are assumed to have it. Treating hyperhidrosis is a lot simpler than it used to be. There have been numerous breakthroughs in the field of medicine that effectively deal with this disorder. One of the leading treatments today is a technique known as “Iontophoresis,” which sees patients undergo a multi-part therapy designed to deactivate overactive sweat glands. Hyperhidrosis treatments of this nature have been nicknamed “No Sweat Machines” by industry insiders and patients. Iontophoresis treatments take about six to ten sessions before the patient can expect to see results. Once complete, the patient should notice a change immediately. If the treatments are effective, excessive sweating can become curtailed. It is easy to see why this technique is at the forefront of the fight against hyperhidrosis — patients are provided with an array of sound, practical, safe, and affordable treatment options. Individual sessions are painless, last only 10-20 minutes, and only require around two individual treatments per week. Despite its popularity, Iontophoresis is still (relatively) new and could always be utilized more than it is today to yield an even greater effect. If you or someone you know is in the fight to stop hyperhidrosis, you would be greatly advantaged to research these treatments a little bit to see if they’re right for you. Sweat is a natural byproduct of life. While it can be uncomfortable, it serves as an incredibly important aspect of our body’s natural cool-down system. However, sweating can become excessive for some people and interfere with their daily lives. Hyperhidrosis affects 8 million Americans and causes them to sweat four to five times as much as their peers. The condition is triggered by sweat glands that become overactive. The result is an excessive amount of unneeded perspiration. The difference between the two classifications is the root cause of the condition. When a person suffers from excessive sweating with no underlying medical condition, it is referred to as primary hyperhidrosis and may be attributed to genetics. Secondary hyperhidrosis can be attributed to an underlying medical condition. Men and women are affected by hyperhidrosis equally and most sufferers are between the ages of 25 and 64. Many look for option to control excessive sweating, though treatments vary based on the cause. Excessive sweating can be confined to certain body parts or affect the entire body. The most commonly affected areas are the palms, soles, underarms or face. Patients that suffer from hyperhidrosis in their hands and feet will usually experience at least one episode a week. Aside from potentially making a sufferer physically uncomfortable, hyperhidrosis can cause significant social anxiety or embarrassment. About 90% of patients have had their emotional state affected by hyperhidrosis. Most patients report feeling less confident due to their condition. If you find yourself suffering from oversweating, know you are not alone and there are treatments for hyperhidrosis. There are several options to control excessive sweating and even to cure excessive sweating. Excessive sweating, while it isn’t often dangerous, can be very embarrassing for patients who suffer from it. However, what many patients don’t realize is that many doctors believe that the condition is genetic. In addition, it’s way more common than most people realize, and easier treated than you may know. Read on for just a few things you should know if you need help with excessive sweating. Many doctors and researchers now believe that this may be a genetic condition. Studies have shown that, on average, 30% to 50% of patients have a family member who also has the condition, which implies some sort of genetic predisposition. So while it may be irritating to live with or deal with, rest assured that it’s not necessarily your fault that it’s happening. 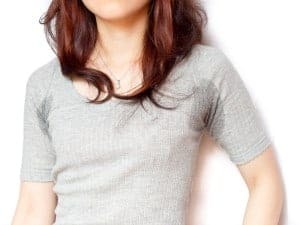 Studies have also shown that there are about 8 million Americans living with hyperhidrosis and sweating four to five times as much as an average person. So while it may sometimes feel like you’re alone in this issue, it is truly not the case! Since it is so common, it makes it much easier to get treatment than most people realize as well. There are numerous effective hyperhidrosis treatments. Many start with a prescription, stronger deodorant to see if it takes care of the issue. If that doesn’t work they may move onto medicine or injections. Or patients can turn to iontophoresis. In this process, an electrical current moves through the water a patient has their feet in, and after several treatments, it blocks the sweat glands. For those with a severe condition, this process may be necessary up to three times per week. Are you or a loved one seeking treatment for this condition? Did you know any of these facts? Excessive sweating can be incredibly embarrassing for some patients, as shown by the fact that 90% of patients report that the condition affects their emotions and makes them feel less confident. The most common cause is primary focal hyperhidrosis, which affects about 1% to 3% of the population. Read on for a few simple ways that you can treat this irritating condition! This is one of the first things a doctor will prescribe to you to attempt to halt the effects of hyperhidrosis. Sometimes, retail deodorants simply do not contain enough of the chemicals needed, and are marketed more toward those with underactive sweat glands, rather than those with hyperactive sweat glands. If this proves not to help with excessive sweating, then doctors may move on to other methods, but many times in mild cases, this will work. There are also prescription injections that you can invest in, though many doctors will use them as a last resort. These are usually inserted right nears the glands causing the hyperhidrosis issues, in order to close them up. It may take several injections for them to work, however, and they are not guaranteed to last. This means that while they may work and be a viable option for some, they are not the most secure option. An iontophoresis machine, also known as a no sweat machine, is used in a process that basically tells the sweat glands to stop being overactive. It takes about six to 10 treatments of this before the sweat glands return to a normal state It’s done by the patient sticking their hands or feet in shallow water (or putting a wet pad encasing an electrode onto other body parts), while the device runs a low electrical current throughout. While it is not specifically proven how or why iontophoresis works as a treatment for hyperhidrosis, there is clinical evidence of its efficacy and outcome. Are you or someone you love struggling with finding help with excessive sweating? Will you be trying any of these treatments?